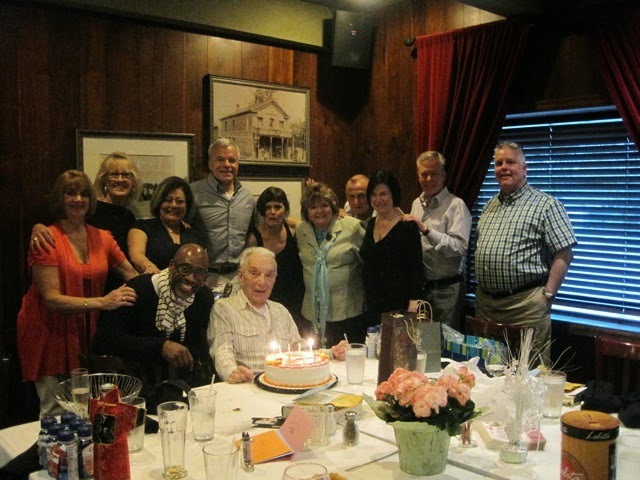 Lady Skywriter: Bob Reardon's 90th Birthday Party ~ Thanks for the Photos, Richard Moody! 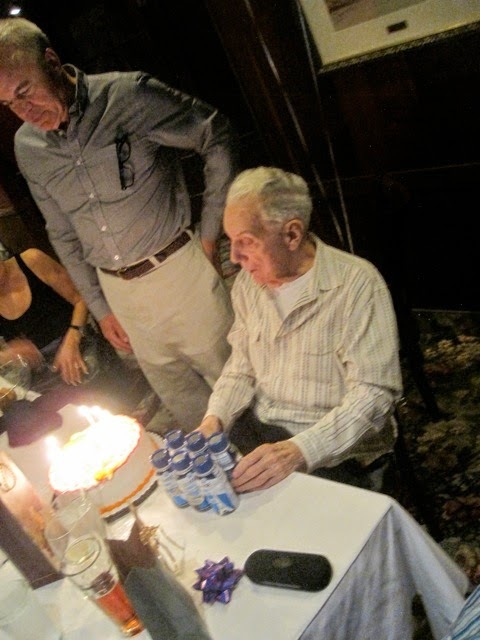 Lady Skywriter: Bob Reardon's 90th Birthday Party ~ Thanks for the Photos, Richard Moody! 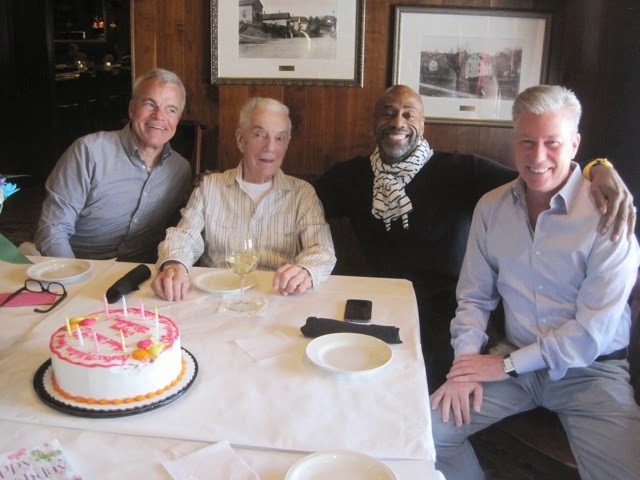 Bob Reardon's 90th Birthday Party ~ Thanks for the Photos, Richard Moody! A gathering of former Pursers to mark the occasion. Look at the blaze! That's a lot of candles, Bob. 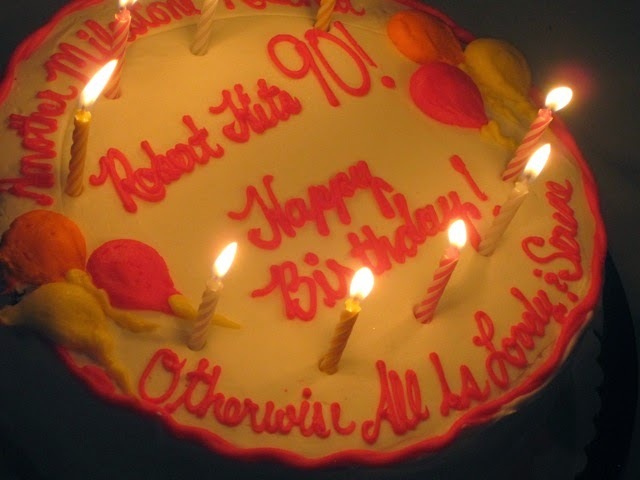 I love the message on Bob's cake: "Robert is 90! Happy Birthday! Otherwise All is Lovely & Serene"
All the well-wishers at Bob's 90th . . .
and admire your style, as you continue your 63rd year in the air, Bob! Men's birthday party celebrated here is such a lovely one. Kid's carnival at one of the spacious event halls for rent are a talk of town now days. It was a gala grand happening evening with best of arrangements. Though the tickets were expensive but worth the pretty day enjoyed by all of us. Looking forward for another one.